In this lecture, Dr. Okonkwo contemplates the premise that much of the scholarship on Toni Morrison continues to operate as though it has never heard of Chinua Achebe or the extraordinarily complimentary things Morrison has said about him relative to her own work and thought. Dr. Christopher Okonkwo is an Associate Professor of English with tenure and a doctoral faculty at the University of Missouri-Columbia. 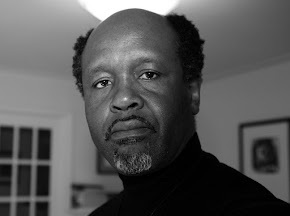 His major fields of research and teaching are 20th through 21st century African American literature and culture, African literature in English, and post-colonial and modernist theories. Professor Okonkwo’s first book, A Spirit of Dialogue: Incarnations of Ợgbañje, the Born-to-Die, in African American Literature, was published by the University of Tennessee Press. In his review, Ernest Emenyonu describes this study as “the first of its kind in terms of in-depth focus, profundity of research, and resplendent analysis of targeted African mythology in contemporary African American literature." Dr. Okonkwo’s essays have appeared in Callaloo, Research in African Literatures, African American Review, CLA Journal, African Literature Today, MELUS, and Contemporary Literary Criticism. He is completing a second book titled Kindred Spirits: Chinua Achebe and Toni Morrison.